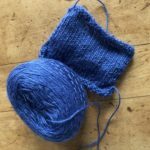 WEKP Journal – Page 2 – Knitting my new favorite sweater for the Webs Expert Knitters Program capstone. 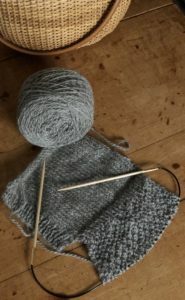 The ball-band gauge on Dovestone Aran Naturals is 4.5 stitches per inch, so my first thought was that I could push the gauge to worsted or closer to DK range. 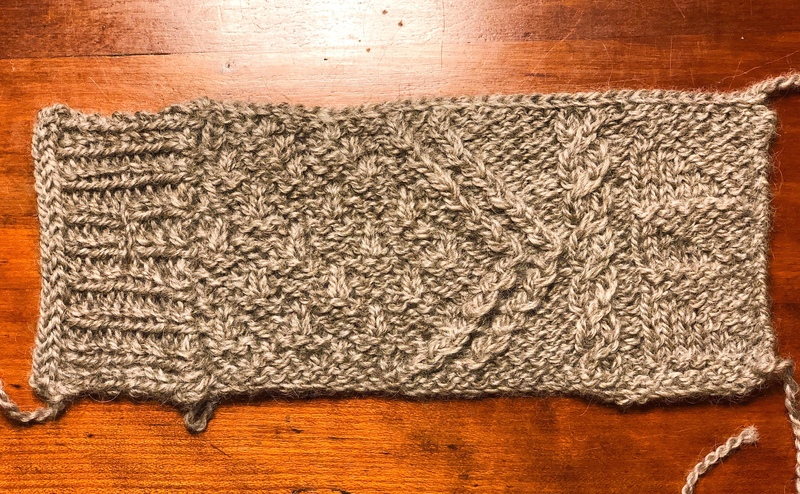 I started with size 6 wood needles knitting at 5 stitches per inch (top of the swatch in the photo above) but the stitches skew to the left, the right half pinched, and that the fabric looks rough and uneven. 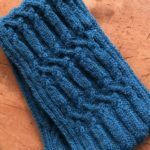 While this is not unexpected for a 2-ply yarn, the effect is much less noticeable at 4 stitches per inch, and the fabric looks smoother and more regular. 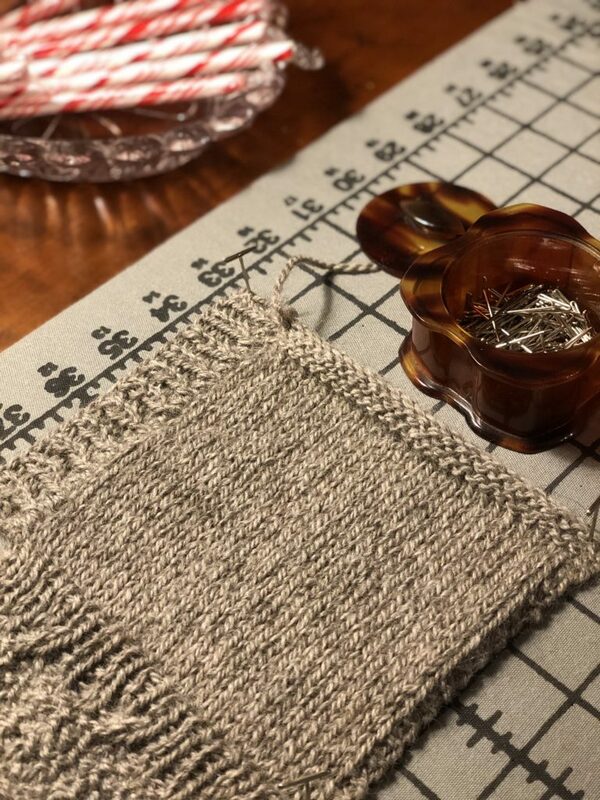 I experimented with applying a button band using a double-needle pick up in rib pattern, in order to avoid the usual row of purl stitches on the back of a double needle pickup. I’m really happy with the result – it will make for a completely reversible button band (back side below). 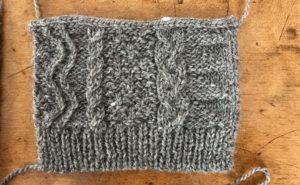 I also started the ribbed reversible cables I had intended to feature alongside the button bands, but it soon became clear they they weren’t going to stand to from a background pattern without a lot of bulk, something I want to avoid. I’m going to have to rethink that front motif. Durability: it is so disappointing to put months into knitting something that devolves into a mess of pills after a season’s wear. 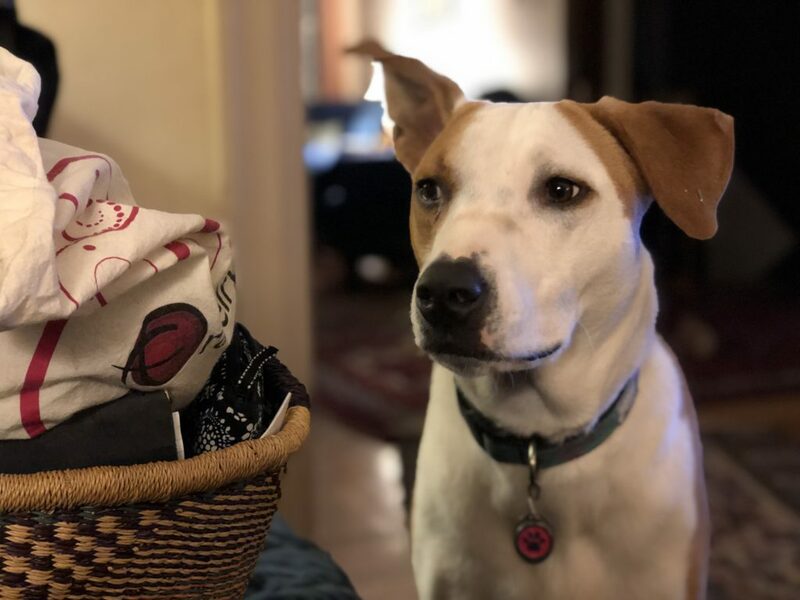 I had heard good things about longwools and thought that might be a good place to start –Wensleydale or Blue-Faced Leicester — the right Jacob or Romney might do as well. 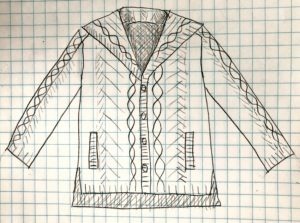 Versatility: I love a rustic woolen spun, but for this project, I wanted something that could mix well with workday clothes as well as jeans, something that would have structure and a bit of drape without looking bulky. 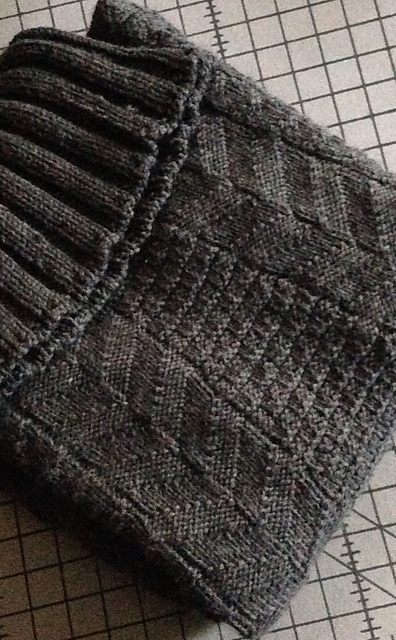 Neutral Color: can’t resist a tweedy undyed sheep’s grey, my favorite neutral, or maybe dark blue. 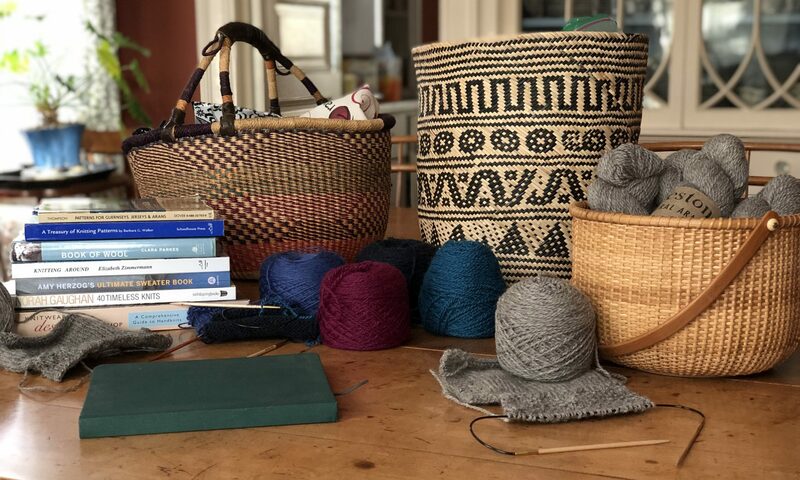 I am very picky about color — I want tweediness and depth and a richness of tone that so many yarns miss. 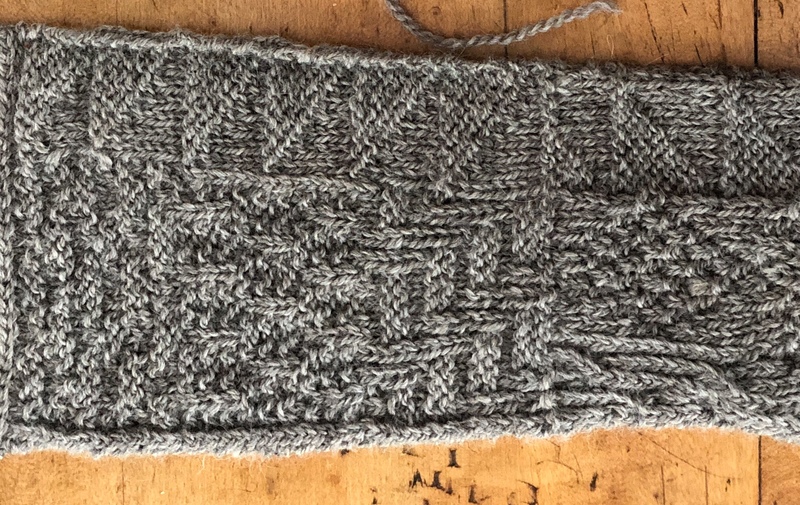 Weight: I’ve been leaning toward the kinds of traditional aran/guernsey stitch patterns that work best in a light sport weight at tight gauge, but need to be sure I keep to schedule, so DK weight seems like a good starting point. 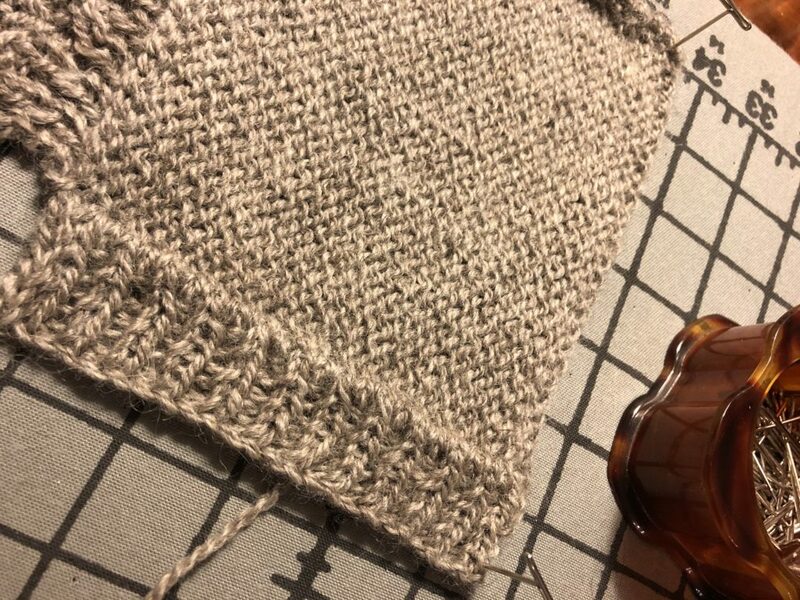 This longwool is billed as a DK, but knits up more like a light sport with a lot of haze. I see this as something light and lacy, a bit too delicate for what I had in mind, and the grey color was very flat. 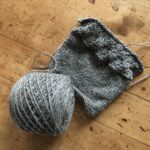 There was a lot to like about this Jacob — softer than I expected, in a tweedy sheeps grey — but like the other WYS yarn, knit up at a lighter gauge than I had hoped, and the next gauge up is aran. This woolen spun Romney is a nice inky navy with a lot of body, a little more rustic than I’d like, but still a gorgeous yarn. Probably too dark for cables to really pop, plus I’d go blind trying see my stitches. 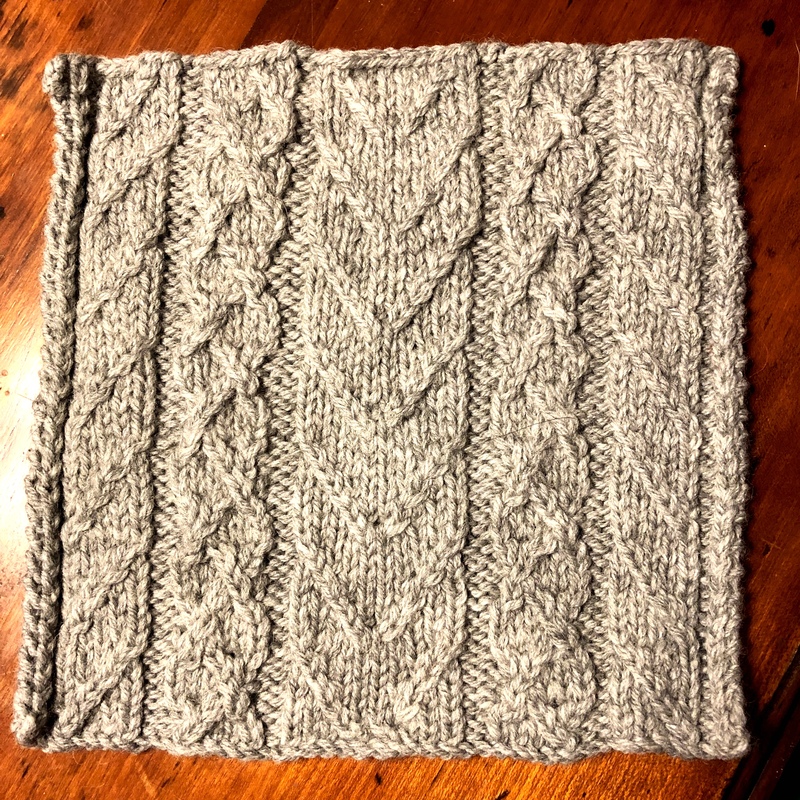 This was my first choice –I made a cowl from this lovely, heathered blend of BFL, Wensleydale and Masham, but it has been discontinued, and remaindered colors at Webs weren’t right for my cardigan plan (I bought it in Rhubarb for a pullover). 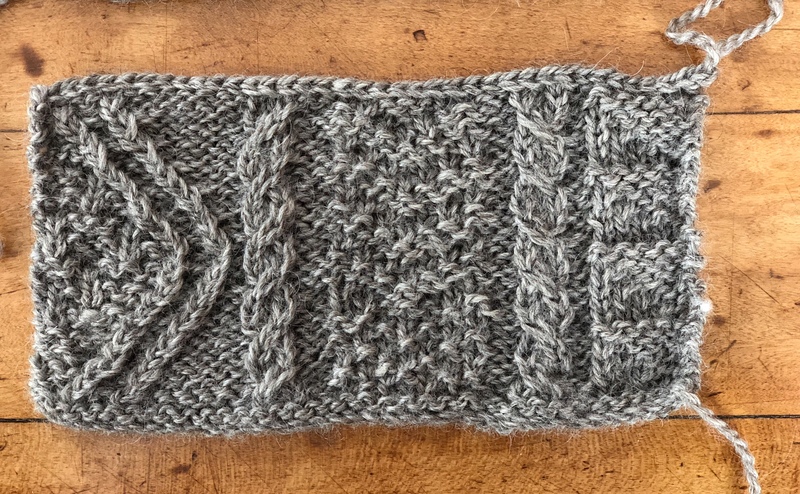 The winner — a gorgeously soft, heathery sheeps grey in that perfectly neutral shade, warm but not too brown, with bit of a halo, and the durability of a BFL / Wensleydale longwool. 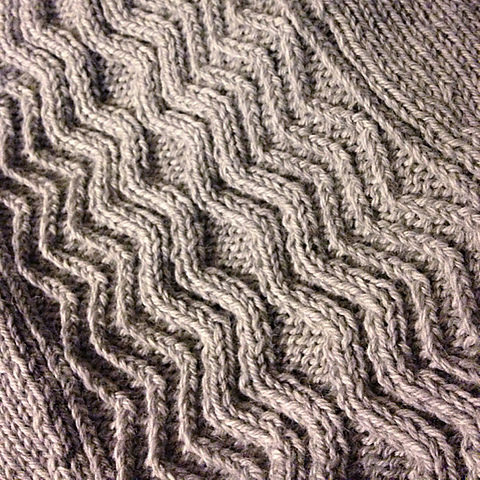 Once I had to face that Dovestone DK was off the table, I kept coming back to this one. 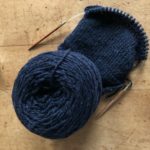 Sure, I had planned for DK weight, and the two-ply construction may not be ideal for cabling, and its pricey for a whole cardigan, but these are not entirely rational decisions — this yarn kept whispering “knit me” and I couldn’t say no.